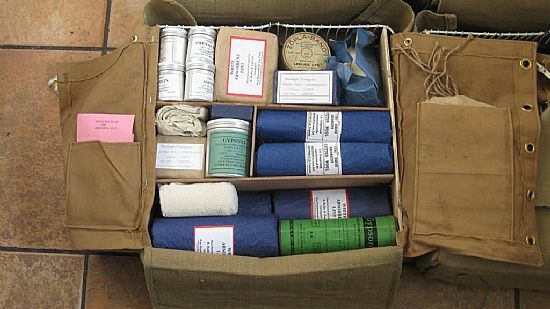 The Don (Dressing) and Sugar (Surgical) packs were a standardised webbing rucksack, containing medical supplies, and were developed for use by the Airborne Forces. 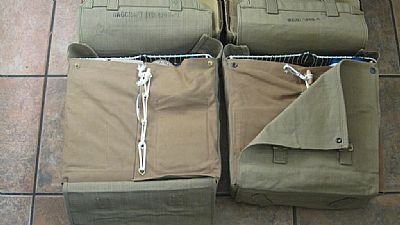 They were pre-dated in 1942 by the "Surgical Haversack, Airborne". More can be found out about the early haversack HERE . 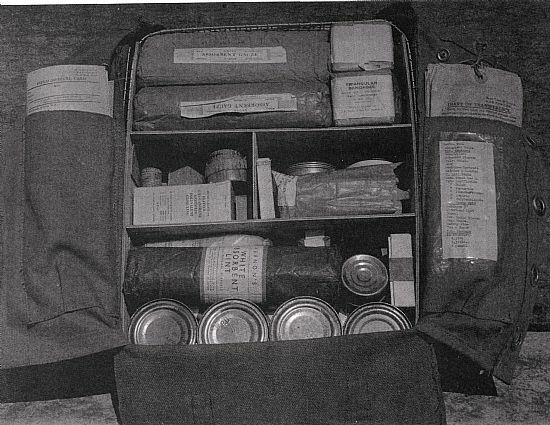 The Don pack contained anaesthetics, drugs, serum, dressings, tins of tea, milk and sugar powder, cubes of meat extract, cigarettes, soap and candles, and was designed to contain sufficient supplies for twenty patients. 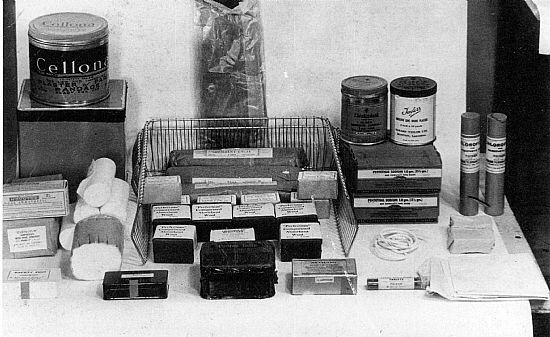 The Sugar pack consisted of anaesthetics, drugs, bandages, gauze, swabs and plaster of paris. 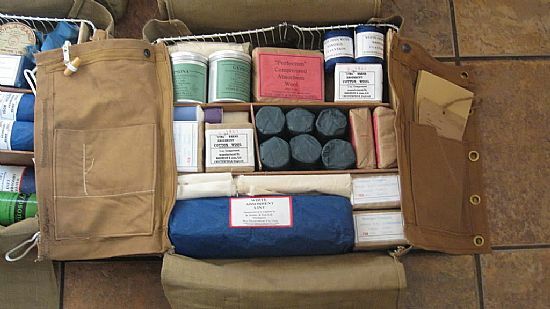 This pack was designed to contain supplies for ten surgical cases. 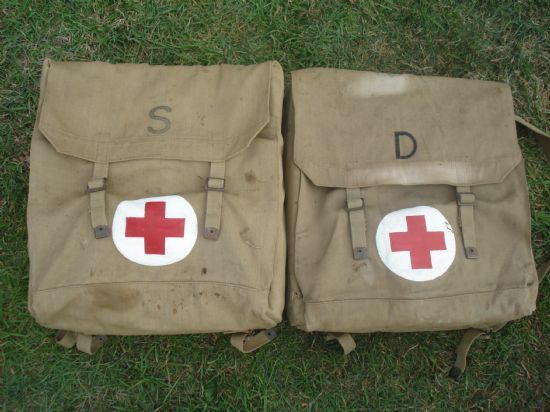 Above: A pair of original Don and Sugar packs in the groups collection. 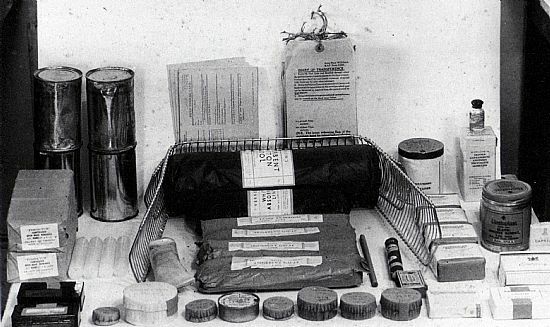 Above: Contents of a Don Pack. Above: Contents of a Sugar Pack. Above: The Don Pack open, showing its contents. The following photos show Don & Sugar packs recreated from original photographs. Above: Front flap open, showing lacing. Above: The Don Pack open, showing reproduction contents. Above: The Sugar Pack open, showing reproduction contents.